Home / Cancer / Disease / How To Beat Breast Cancer with Diet? How To Beat Breast Cancer with Diet? Breast cancer is a disease caused by malignancy of tissue cells in the breast. This cancer occurs if cells in the breast grow abnormally. These cells will divide faster than normal cells and form a lump. Breast cancer is at risk with age, in women aged 50-70 years it is recommended to have their check up every three years. 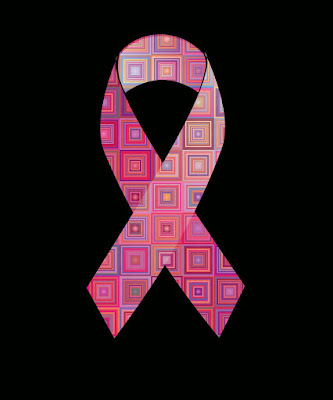 Breast cancer is still unclear the cause until now. But you can avoid the risk factors. Risk factors for breast cancer are multifactorial. Not only women, breast cancer can also attack men, because men also have breast tissue even though not as big as women. Beat breast cancer with diet. Whole grain foods contain fiber and nutrients, which can help you get full longer and maintain a healthy weight. Fiber present in whole wheat can also reduce the risk of colon cancer. Some simple ways to put whole grains into your diet are to choose brown wheat bread, brown rice, not white rice, whole wheat pasta, breakfast cereals like wheat, and add barley to soups and stews. Consuming lots of processed and red meat can increase the risk of colon cancer, and pancreatic cancer. Because they are high in calories, which can also contribute to weight gain. Healthier choices of protein foods include fish, nuts, chicken and eggs that can help prevent breast cancer. Processed meats include ham, sausage, salami and bacon. So, try to eat less red meat and processed meat and eat it in small portions. Foods that are preserved with salt can increase the risk of stomach cancer, which includes salted beef, salted fish, and some pickled vegetables. Make your food use less salt. Tips to Prevent Breast Cancer. Limit alcohol intake, because the more alcohol you drink, the greater the risk of developing breast cancer. There is a relationship between smoking and the risk of breast cancer, especially in pre-menopausal women. So, stop smoking. Being overweight or obese can also increase the risk of breast cancer. Moderate physical activity can help prevent breast cancer. Breastfeeding may play a role in the prevention of breast cancer. Fill half of your plate with colorful vegetables, 1/4 with high fiber wholegrain foods such as brown rice or whole wheat pasta and 1/4 with healthy protein foods like fish, chicken or nuts. Early diagnosis is key in treating breast cancer and ensuring its success. Also, read Why Quitting Smoking Is Difficult?